Producer Secrets: What Is Sidechaining (And Why Is It So Popular)? If you’re a producer, chances are you either use sidechain compression or have heard of it. For those who are unfamiliar, sidechaining means using the output of one track, such as a kick drum, to alter the compression on another track, such as a bassline. In simple terms, it’s a way to set up your mix so that when one sound comes in, another one quiets down. Imagine you’re watching a movie and there’s a scene without dialogue, and the music is playing loudly. As soon as the characters start to talk, the music quiets down. You can make that happen with your mix in real time by using sidechain compression. Why is sidechaining so popular? 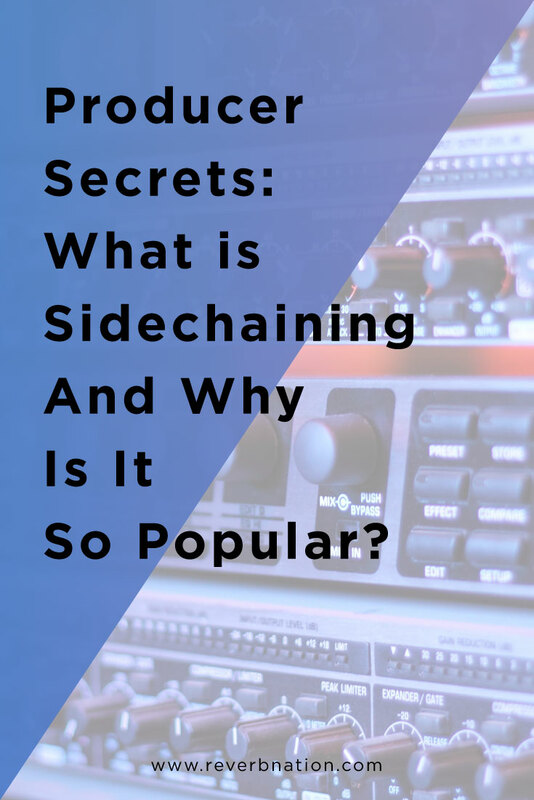 Well, other than the fact that it’s an effective tool for mixing, sidechain compression is a way to innovate because it allows you to turn non-instrument sounds into music. 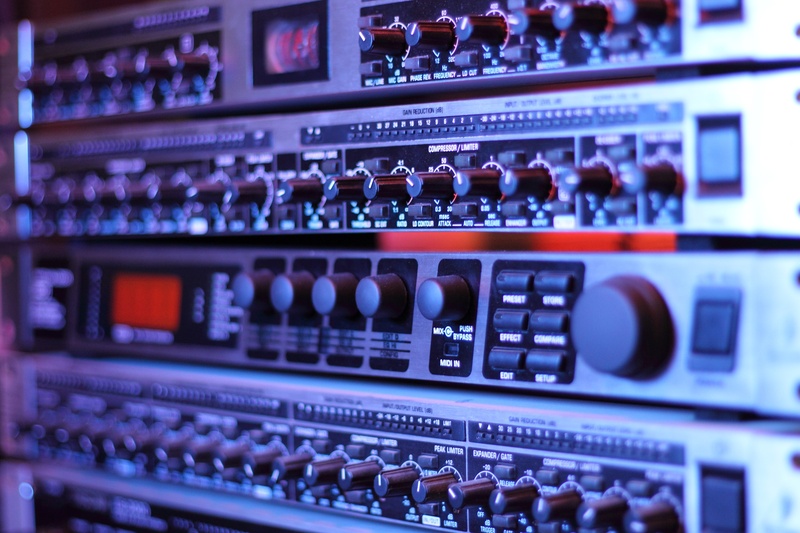 For instance, it may seem strange to incorporate white noise into your mix. But if you slam the threshold on your compressor, you can make it into a rhythm, almost like a cymbal. This effect can also be achieved with things like vinyl crackle or ambient noises. Sidechaining is a good way to reinterpret the role of certain instruments in a song, too. For example, string sections are almost always left untouched other than some subtle EQ and reverb. But if all of a sudden you sidechain those strings to a four-on-the-floor kick pattern, they start to sound like a synth on a dance track. Some artists even sidechain lead vocal lines to their drums—so when the kick or snare hits, the lead vocal ducks. It’s a totally different way of approaching the hierarchy of songwriting. Now, let’s go over some of the most common uses for sidechaining that you can incorporate into your own mixes. If you turn on the radio today for a few songs, you can almost guarantee that one of them is going to have a super punchy kick and sub-bass. A big kick and lots of low-end sub-bass is a recipe for disaster if you don’t separate them well. When you have too many clashing frequencies, the mix starts to turn muddy, and harmonics and melodies get lost. To fix this issue, put a compressor on your bass track, and use a bus to send your kick signal into the sidechain input. You can clear up the clashing frequencies and really make your kick drum pop in the mix. 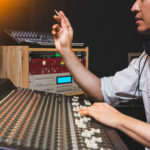 You can also center your rhythm around the kick even more by sidechaining sounds that are in the mid and high range, such as vocal harmonies, synths, or even white noise samples. 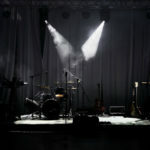 Every genre of music calls for a different arrangement, but one thing that’s consistent is that the vocal is almost always the center of attention. If your vocal isn’t clear enough in the mix, it may be tempting to just turn up the gain. But that can change the quality of the vocal, and even end up distorting it. By sidechaining other tracks in your mix to the vocal, you allow other elements of the track to quiet down when the vocal comes in, making room for it to shine. However, it’s important not to rely on this technique excessively. You don’t want to hear the other tracks dipping in volume; rather, you want to hear the vocal come through clearly. Try to achieve that balance. Oftentimes, if you have lush soundscapes or string pads, it can be hard for other sounds to stand out, such as guitar lines or hi-hats. If you have a busy soundscape and multiple layers that are masking essential instruments such as your snare, you can use sidechain compression to help make room in the mix. One thing that has been incredibly popular in beat music has been excessive use of sidechain compression for stylistic effect. On certain J Dilla songs, for instance, whenever the kick hits, every other sound in the track ducks. It’s an exaggerated use of the effect, but it creates a certain style where all of the music is bowing to the rhythm of the kick. This is finding its way into popular music, too, especially in genres like hip-hop and EDM. As you can see, sidechaining is a useful tool for achieving a clean mix, but it’s also a stylistic tool that can be used to introduce non-instruments into your track, as well as innovate the role of traditional instruments. But be careful not to use it too much, because it can easily become tacky and overused. Experiment, have fun, and find the right balance that works for your music.